As you may know, I am a souther girl to the core. That pretty much makes me a meat and potatoes kinda gal. 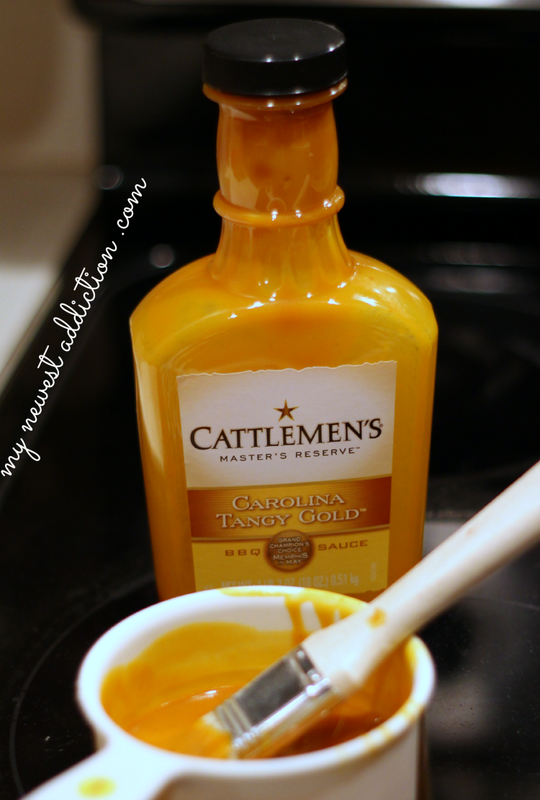 My husband and I love spicy food so we tend to add some sort of heat to everything we cook. 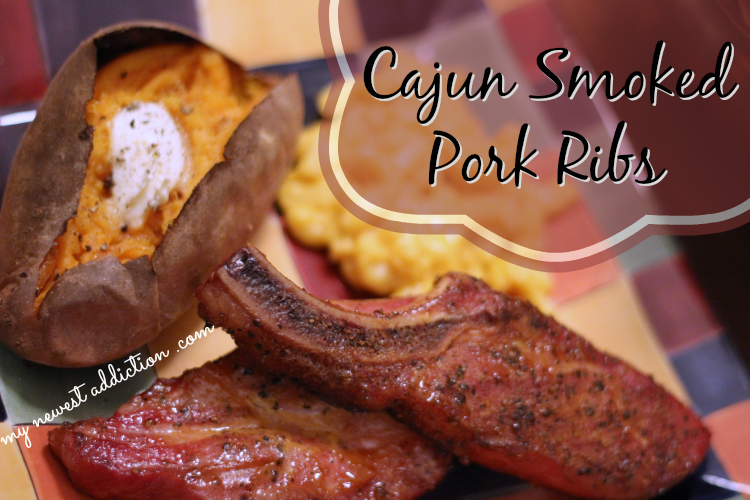 In this recipe I wanted to share how you can marry a traditional BBQ rib and a little cajun kick. 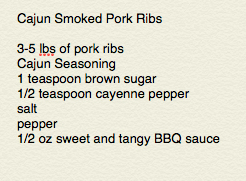 Behold, my Cajun Smoked Pork Ribs Recipe. 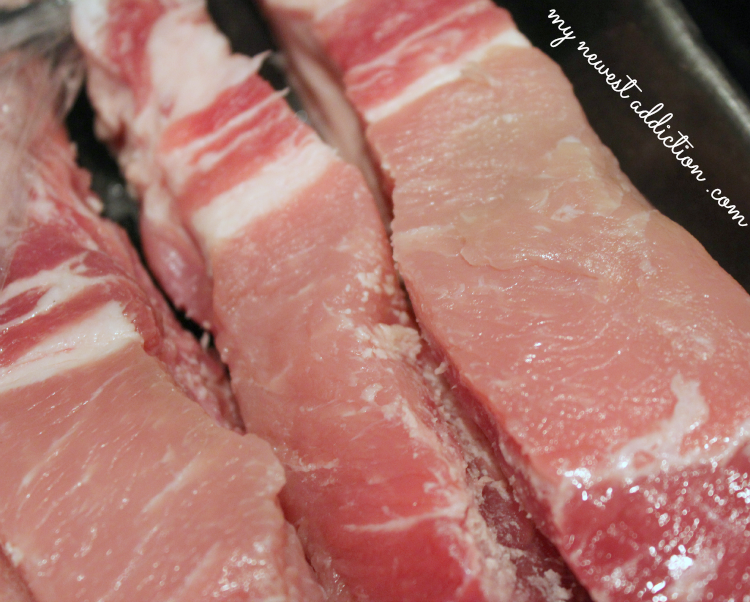 Within the package they had some with and without the bone, there was pretty marbling, and they weren’t overridden with fat which is pretty hard to find in pork ribs sometimes. We ended up buying 5 lbs to cook. The first thing we did was mixed up our dry rub recipe and coat the ribs with it and stick it in the fridge overnight. Our dry rub consists of Canjun seasoning (there are lots of great kinds at the store and we tend to try out a new kind every time), about a teaspoon of brown sugar, salt, pepper, and half a teaspoon of cayenne pepper. 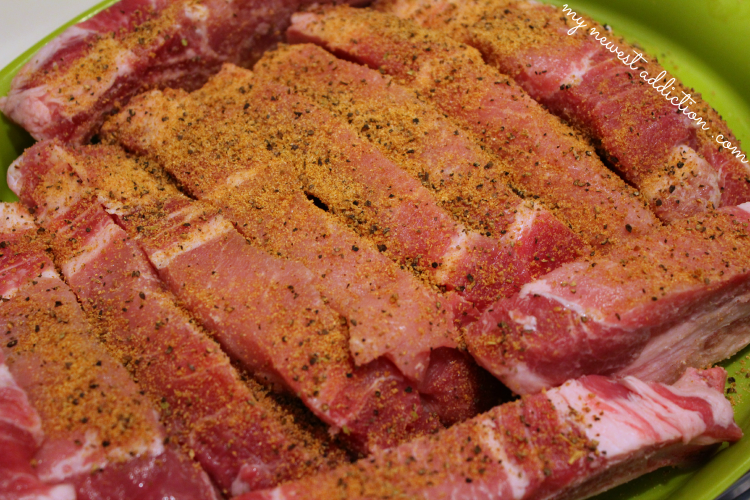 Heat your smoker to 225 degrees and place the ribs about an inch apart so that the smoky flavor touches every inch of the rib. 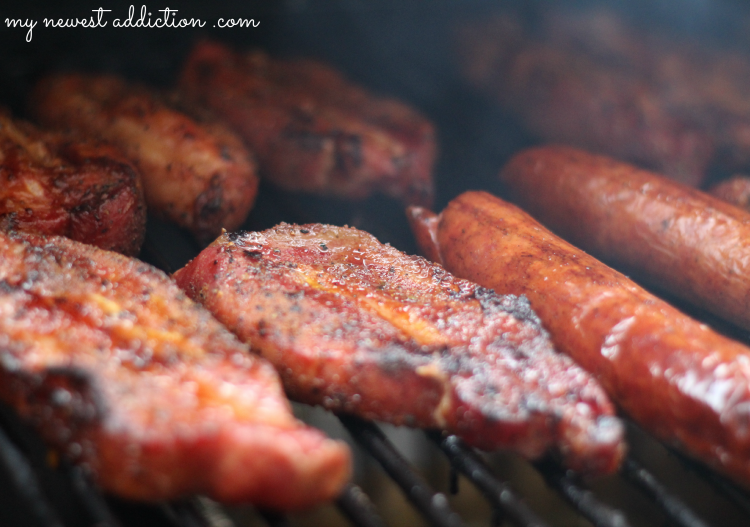 You want to cook these for 4-6 hours until the ribs reach 170-200 degrees internal temperature. It really depends on your preference. About half an hour before they are done cooking with add a thin coat of our favorite sweet and tangy BBQ sauce. We add the sauce for a touch of sweet to tone down all the heat and to add that wetness/moisture/stickiness that makes ribs so messy yet AMAZINGLY tasty. The outcome was great. 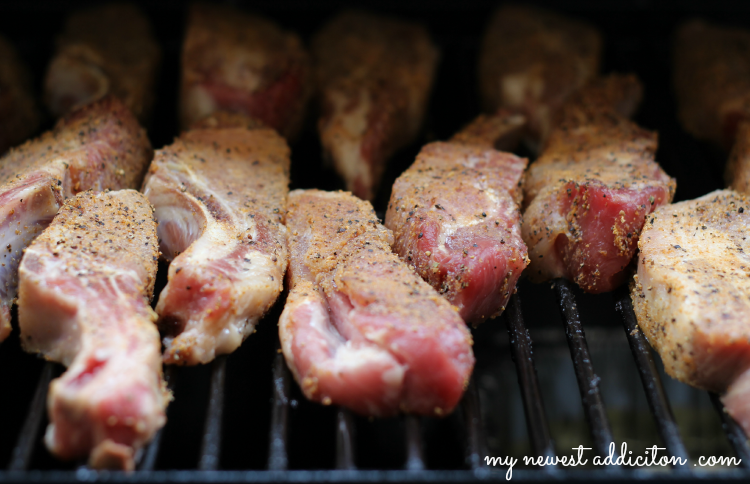 These ribs were tender, spicy, sweet, and perfect FOR THE WHOLE FAMILY. 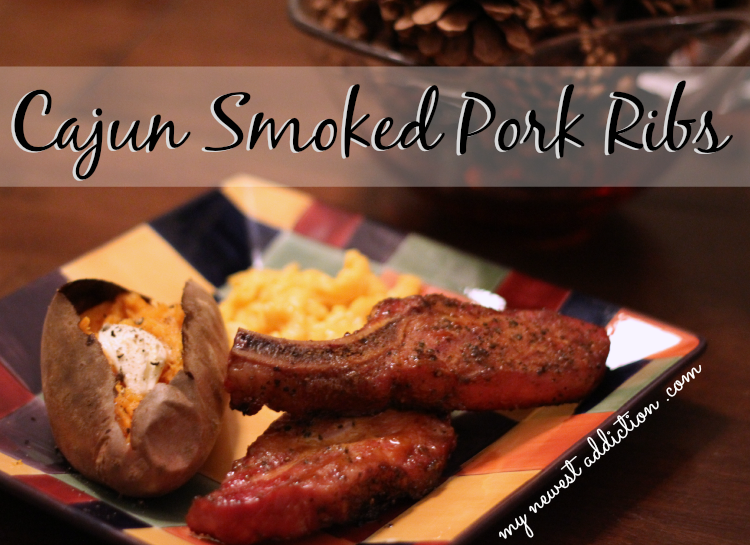 Ribs are such a versatile main dish, you can pair anything with it. I am a sweet-potato lover and my son likes mac-n-cheese. I don’t like added sweetness in my sweet-potatoes–I only add salt, pepper, and butter.